We love the work that MGW Scudo does with their wallets. So we had them make us a very limited run just for fun. We’re not sure if this will be a stocked item moving forward. So if you want one, grab it now. Cut to perfection with state-of-the-art, precision CNC machine work. Won’t bend, break, or fall apart. You won’t find another wallet like this. Unique toggle mechanism keeps contents where they belong, and still allows for quick one-handed opening. Officially licensed logos, different designs, with new styles added every month! Fits in any pocket, and at 4oz you’ll hardly know it’s there. Modified hard coat anodized aluminum finish won’t scratch or scuff. We offer colors to choose from. Multiple capacity available. 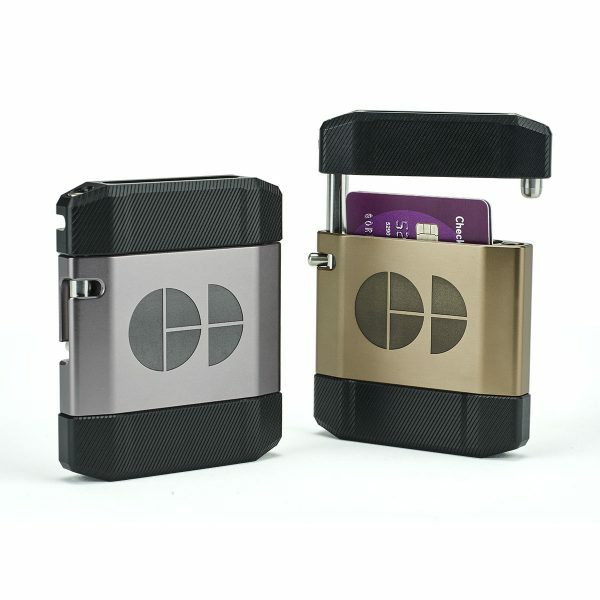 Holds up to 14 cards or 8 cards and 10 bills.